Dynisco is a worldwide leader in the manufacture of melt pressure and temperature sensors, instrumentation and analyzers. Dynisco’s melt pressure transmitters and transducers provide accurate and repeatable measurements, are designed for high temperatures, and can withstand the most abrasive and corrosive environments in applications such as plastics extrusions, oil services, food and medical, injection, blow molding and resin production. Dynisco manufactures a variety of instruments including dependable, user-friendly indicators, controls and signal conditioners for pressure and temperature monitoring applications. 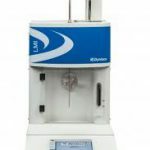 In addition, Dynisco polymer testing equipment including on-line and capillary rheometers, melt flow indexers, pendulum impact testers and other polymer lab material property analyzers deliver highly accurate, cost-effective test solutions. Dynisco also offers a wide range of accessories from cables to calibrators, plus miscellaneous laboratory equipment including a precision laboratory or small-sized granulator. For decades, Dynisco has been a global leader providing innovative solutions for materials testing and extrusion-control monitoring for the plastics industry. Among the early pioneering achievements was the first transducer to successfully measure melt pressure during the extrusion process. Today, it is more vital than ever to offer our customers leading-edge technology, manufactured to ISO 9000 quality standards, so they can achieve maximum manufacturing efficiency and productivity. Dynisco Sensors provide some of the most innovative measurement solutions for plastics extrusion, molding, and process control applications in the world, offering hundreds of models of transducers and transmitters utilizing the latest sensing technologies. Dynisco Analytical Instruments are used around the world for testing the physical, mechanical, thermal and flammability properties of polymers. 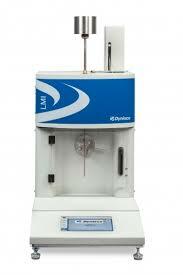 The bench-scale processing instruments are used to prepare test specimens or evaluate the processability of materials. 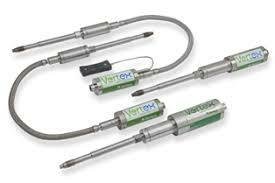 And all Dynisco instruments conform to the strictest industry, national and international standard test methods. Customers around the world have come to depend on Dynisco for product innovation and advanced system solutions that have a significant impact on their manufacturing process efficiencies.